Every time Halloween comes around, I try to create new handmade decorations with my kids and add them to my collection, but my Halloween decor is not complete without a spooktacular centerpiece. I know Halloween is still a few weeks away, but it will be here before we know it! So, I searched all over the internet for inspiration and I found 30 Easy to Make Halloween Centerpieces I can’t wait to share with you. 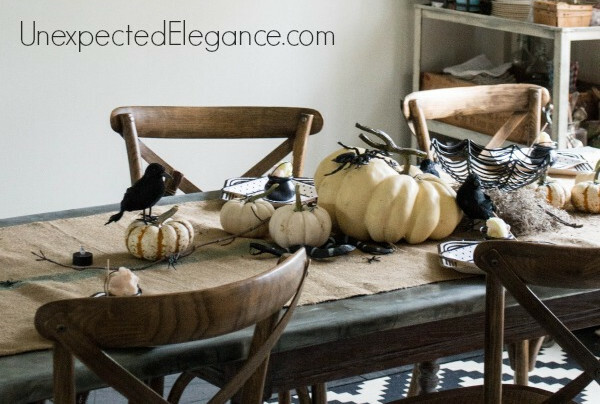 From spider webs, last minute, candles, skull, DIY painted pumpkins, and more, these centerpieces are the perfect festive addition to your home. Check out these fun Halloween centerpieces and get inspired. I’m sure they will give your guests the spooks! Happy Halloween! Beautiful ideas! 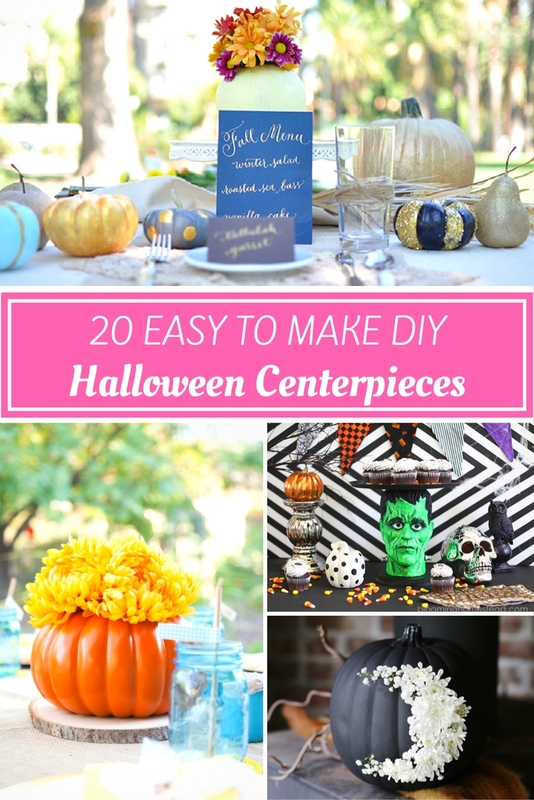 Thank you for including the Witch Hat Centerpiece from CraftsnCoffee.com! Thanks and love your centerpiece!